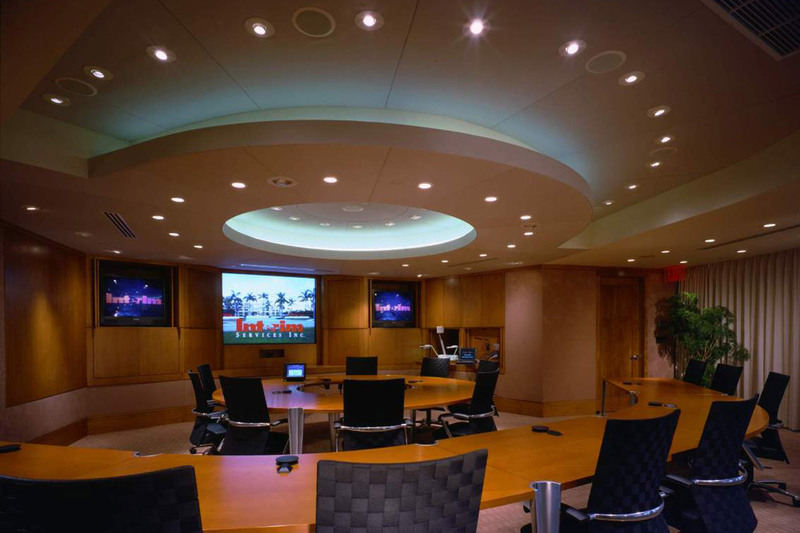 The 790-square-foot corporate boardroom at Interim Service’s headquarters, in Ft. Lauderdale, Fl (USA), represents a state of the art combination of traditional boardroom configurations with audio/video/conferencing and presentation ergonomics. Interim Services is a provider of technical staffing and related services and is the fourth-largest private employer in the world, with a network of nearly 1,350 offices in 12 countries throughout North America, Europe, Australia and Asia. Room layout focused on the two primary uses of the room. For conventional board meetings, a round table was created for 12 people (the executive board size). This type of meeting, which is non-directional (no specific focus at the table) is scheduled once a month and requires little advanced media support. More complex media conferencing and presentation meetings are accommodated by focus on a media wall, but with no sacrifice to the room¹s permanent table layout and architecture. 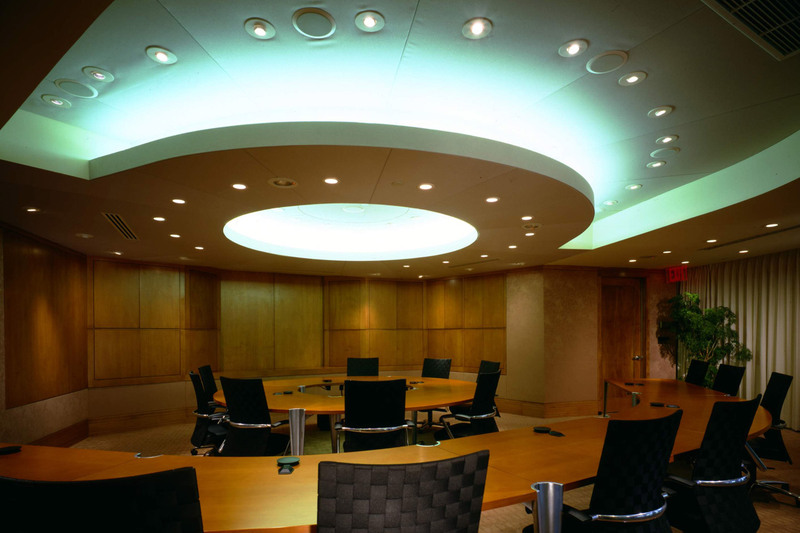 Multiple lighting systems allow both types of meetings to take place. 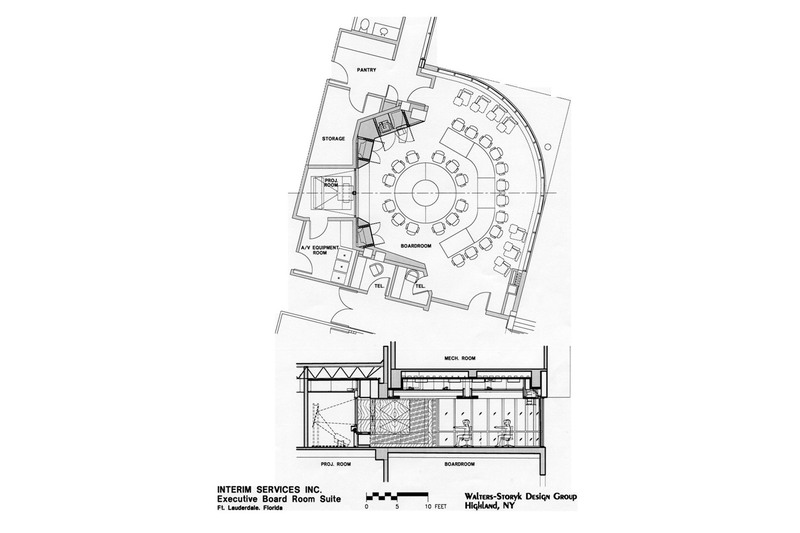 All furniture has been custom designed to accommodate these requirements. The primary acoustic challenge in this room is the rear concave glass curved wall as well as a need for low frequency absorption. 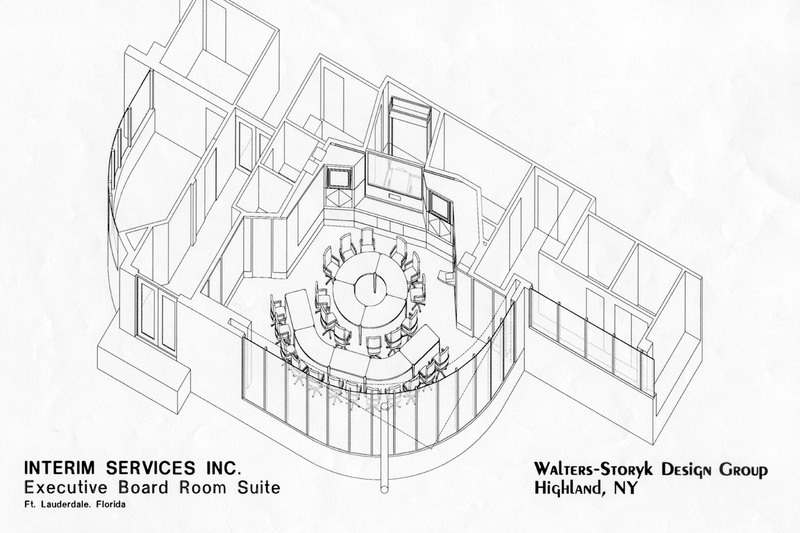 The rear glass wall was dictated due to site selection (the room overlooks a large four story indoor atrium!). 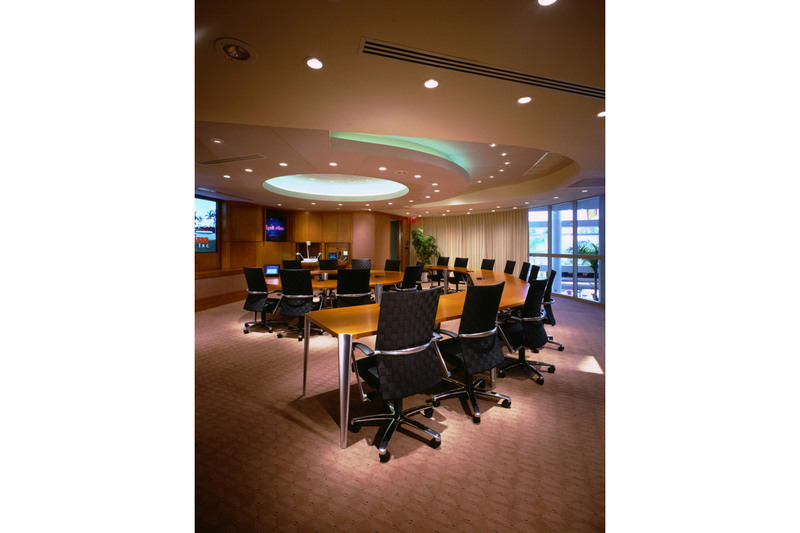 During traditional meetings the glass surface is not a liability, but during full frequency audio presentations thick drapes are drawn (motorized and controlled by Crestron) to dampen harsh reflections as well as add much needed low frequency absorption. 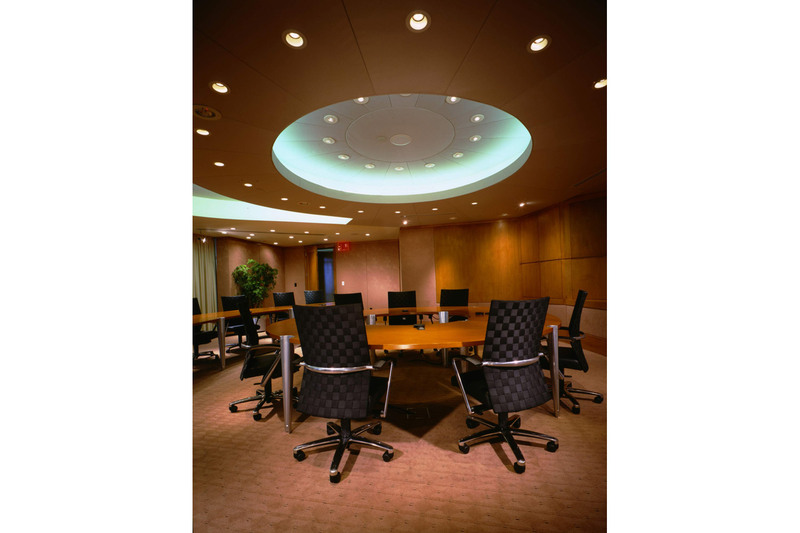 Additional acoustic control is provided in the cavities above the decorative circular ceiling “cloud”.